With this pattern we’re starting to make viariations with an increasing number of colors. We start with 2 colors. This bracelet is made with crochet cotton that’s thicker than embroidery floss. 9 Repeats of the pattern is about 14 cm (5.5 inch) long. 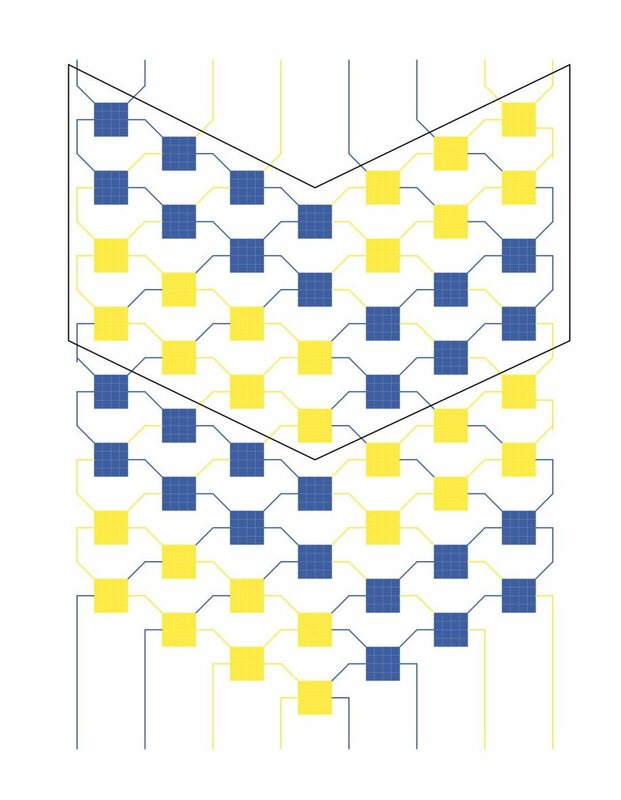 For 9 repeats you need about 60 cm (23.6 inch) draad for the left blue and yellow threads , about 48 cm (18.9 inch) for the right blue and yellow threads. The difference in the needed length has to do with the fact that you make more knots with the left threads! Always start with the right side by making 3 double left knots. Then made 3 double right knots and 1 right/left knot at the left. Take care of this last knot, before you know it you go the wrong way (speaking of experience)!